Childcare “family suites” consist of groups of children who stay together with the same caregivers over a several-year period. Bonding to adults who provide consistent, nurturing care during the years of early childhood is tantamount to the development of healthy relationships in youth and adulthood. Brain research indicates that “the architecture of the brain depends on a series of critical but subtle emotional transactions between an infant and a devoted caregiver…clearly formulating the elusive building blocks of creative and analytic thinking, and the sense of self” (Dr. Stanley Greenspan). The mix of children’s ages may differ in the various LifeWays locations. Childcare homes can easily provide a “family” grouping with children of various ages. 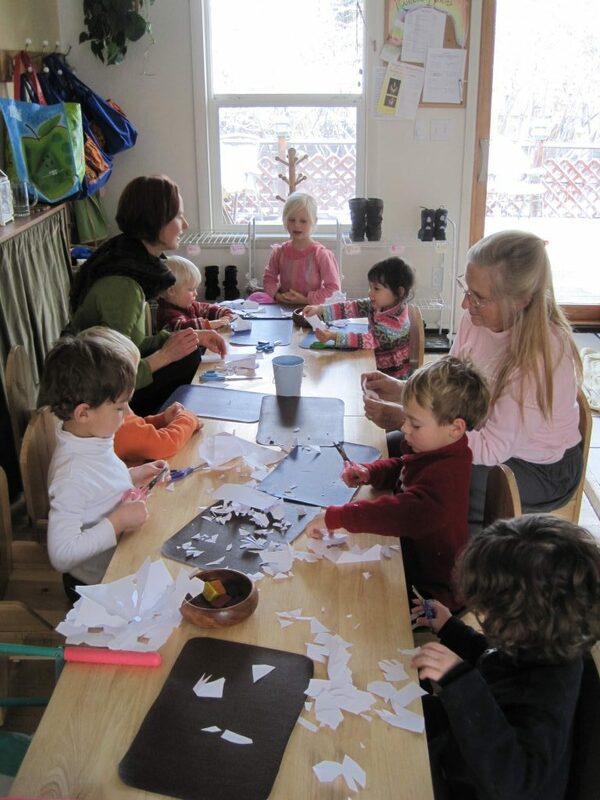 Childcare centers that incorporate several family suites function like a little neighborhood of childcare homes. In some States, a licensing waiver for mixed ages may be necessary. LifeWays North America is an advocacy group that will work with you and your licensing agency toward acquiring necessary exemptions. An emphasis is also placed on the learning that is cultivated through mixed-age groupings. The younger ones learn basic self-care and social skills from observing the older children, and the older ones learn basic nurturing skills by observing the caregivers tend to the little ones. Another benefit of having mixed ages is that the ratio of children to care providers enables more of a family feeling. The caregiver/teacher is able to meet the special needs of each age group.